There is an unfortunate side effect to labeling terms used on wine labels, and the fault – I think – lies with us and in how we conjure what the term means. The term “reserve,” for example, has no legal meaning. And while that is so, most winemakers and vineyard owners are proud of their craft and their family’s label and quite honest in putting forth their product. In most cases, it’s safe to assume that the term “reserve” can be taken to mean the wine is something better than the vineyard’s entry label. The wine may have received additional aging, benefited from oak, or have been selected from a superior site. But none of that is legally defined or specified. But what does the term “Estate Grown” mean? Legally, it means the winery producing the wine also grew the grapes. And what do we conjure that to mean? Do we take that to mean that wine produced from grapes grown on the estate will be better than wine made from grapes that have been sourced? I think that’s often the case. And it’s an example of us reading too much into the label. In fact, there are grapes grown on many vineyards that do not make wine. Their business is growing grapes. 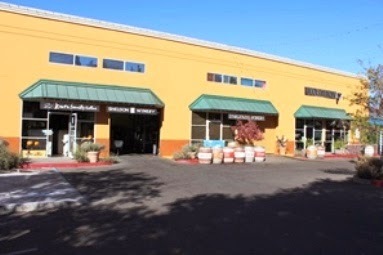 And there are well known, highly regarded wineries that source all their grapes. They source grapes from vineyards that both produce their own wines and from those that do not. Growing is farming and winemaking is something else. Sometimes they come together, and sometimes they do not. the B&B where I was staying. Upon pouring a sample of one of the wines, the sales person mentioned that the grapes for this Pinot Noir were sourced from “XYZ” (a Sonoma vineyard / winery famous for Pinot Noir and that will go unnamed). Upon enjoying the wine’s unique aroma, I immediately recognized the vineyard. I had enjoyed his remarkable Pinot Noir on a previous visit. But upon tasting the wine, I recognized he had nothing to do with making it. Don’t buy into the misconception that such vineyards only sell inferior grapes to winemakers. They wouldn’t be selling anything for very long if that were true. Growing is farming and winemaking is something else. So let’s accept that winemaking is its own art. And the proof of that is in the tasting. What does this mean? In the glass, it means a medium bodied wine with soft, silky tannins. It means a wine that’s a safe “crowd pleaser” because every red wine drinker will enjoy it; the Viognier smoothing the edges of the Syrah’s depth allowing even white wine drinkers to enjoy a glass. A pungent nose of blackberry mixed with smoky bacon carries into the taste along with notes of pepper and licorice softened with hints of crème de cassis. Faint hints of nutmeg and allspice enhanced the nose. 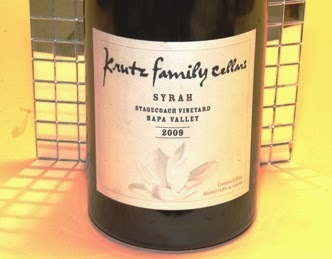 This is a wine not only to be enjoyed, but to be later tasted again and studied for its depth, complexity and balance. Wine Enthusiast rated this wine a 94. 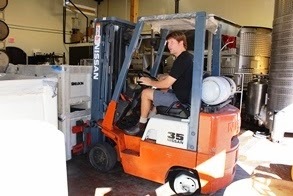 Krutz Family Cellars produces Cabernet Sauvignon, Pinot Noir, and Chardonnays of various labels and price points, and exemplifies several first generation winemakers that left successful careers to pursue the craft of winemaking with passion and a love for the task and a willingness to take risk. I tasted many of the winery’s offerings during my 2012 visit and it was obvious that wine being made was not going to be “3rd or 4th or 5th generation business as usual.” Now, looking at my notes from that visit, I’m still struck with the grace and depth of Krutz’s Anderson Valley and Russian River Valley Pinot Noir and the Martinelli Chardonnay. And looking at his current list which includes Merlot, Tempranillo, Zinfandel and Malbec, I feel a need to return. Follow Wine Mizer on Facebook for mini-reviews, recipes, fun facts and more.